Sponsored content ads, also called sponsored updates, appear in the social media feeds of your target audience. 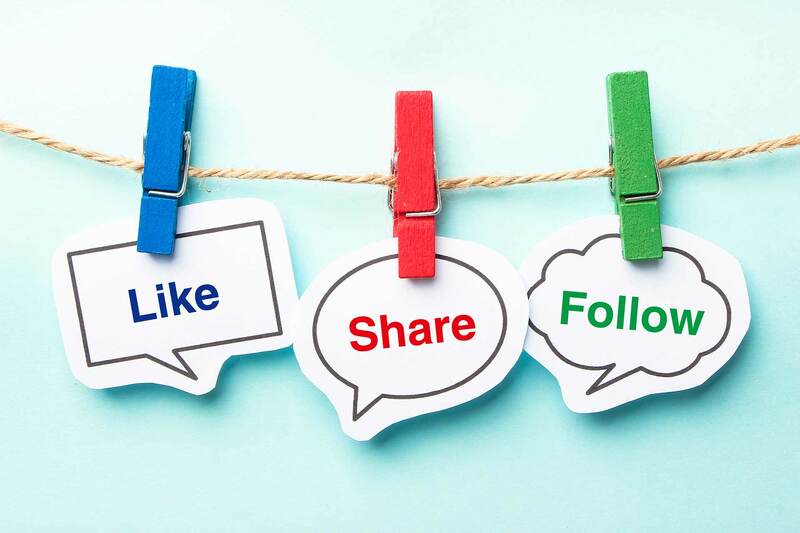 They can be either organic posts that you promote to a targeted audience, or you can create them as direct sponsored content. Direct sponsored content updates are never visible on your company page and are generally only viewable by the audience you're targeting. Sponsored content ads allow for a limited amount of social media copy, a large visual, and a headline. These are the best ads to use when you're trying to reach someone right inside of their social media feed on LinkedIn. You can bid on these ads on a cost-per-click or cost-per-thousand-impression (CPM) basis. Text ads were LinkedIn's original targeted self-service advertising offering. Your text and image options are limited, but you're likely to achieve a lower CPC with these ads. This ad option allows you to serve advertising to your targeted audience across LinkedIn. 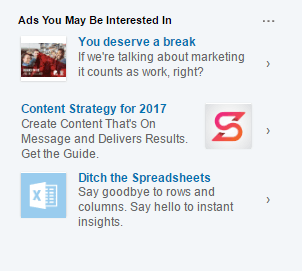 You'll notice these ads on the top and right hand side of many LinkedIn pages. If you're advertising on a budget and don't have a lot of help with creative aspects (i.e., designing a big, attractive banner for your ad) then this might be a good option. Consider this option in conjunction with the other two ad format options. Like Sponsored Content, you bid on these on a cost-per-click or cost-per-impression (CPM) basis. Sponsored InMail is the newest self-service advertising product from LinkedIn. Like the Paid InMail that comes with premium accounts, Sponsored InMail lets you target users that you're not yet connected with by catching their attention with a message that appears in their LinkedIn inboxes. In a way, Sponsored InMail is Paid InMail on steroids. 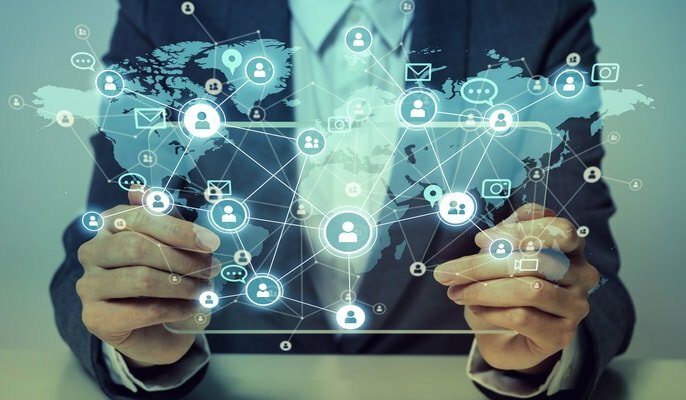 Instead of being limited to a set number on a monthly basis or restricted by how much manpower you can spend shooting off InMail, this allows for one-to-many communication. 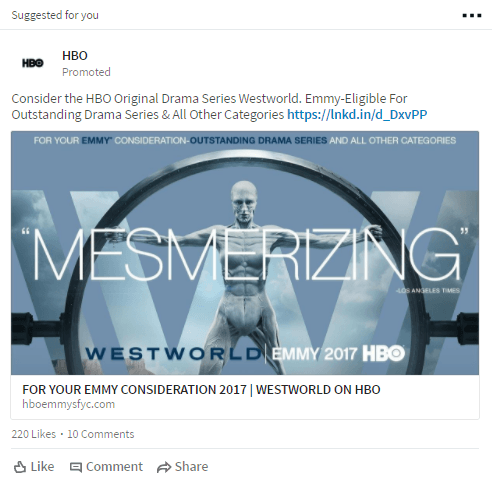 Like the other forms of advertising mentioned here, you can use LinkedIn's ad targeting parameters to pick your best fit audience. Your ad/message isn't delivered to a targeted member until they actually log into LinkedIn. You bid what you're willing to pay per send, and you only pay when that message is delivered. Here's a data sheet from LinkedIn that outlines the product: LinkedIn Sponsored InMail. Understanding how people are being served these ad formats will help you realize the advantages and limitations of each ad product. I'd encourage you to try out each format with budget caps to see what you can affordably achieve. Would you like me to take a look at your advertising performance? Reach out to our team to schedule a quick evaluation of your ad campaign.